Over 800 residents of Siaya County today benefitted from free eye treatment organized by Visa Oshwal Vanik Community Kisumu in collaboration with Jain Social Group, Pwani Oil Products Ltd and many other well-wishers. Residents received free eye checkups, medicines, reading glasses and cataract surgeries during the one-day medical camp at Gagra Secondary School, Central Uyoma location, Rarieda Constituency. The exercise also received support from the Siaya County health department; Dr. Misore (the former PMO of Nyanza and Rift Valley Provinces), Mr. Dennis Owenje (former education officer, Nyanza), Mr. Oyugi (headmaster of Gagra Secondary School) and residents of Uyoma. Our special thanks are due to Lion Ramesh Mehta, past district governor of Lions clubs International District 411 and recently appointed Chairman of the Board of Jaramogi Oginga Odinga Teaching and Referal hospital Kisumu for encouragement and guidance for the camp. A team of Doctors and nurses from Sabatia Eye Hospital were present and provided services. The hospital serves Western Kenya, parts of Rift Valley and neighboring counties through outreach programs. The chairman of Visa Oshwal Vanik Community Kisumu, Mr. Hitesh Dhanani, cited challenges in accessing eye treatment in that area. “We appreciate the fact that the country lacks adequate numbers of eye care workers. Majority of them are only available in major towns and urban centers. We felt it was good to come together with our partners to help bring such services closer to the people,” said Mr. Dhanani. A team was made to initiate this program which was led by Mr. Ronak Gudhka who is also the secretary of the community together with many youths. At this juncture, Pwani Oil Products Director Mr. Rajul Malde agreed to partner in eradicating blindness. He added that Pwani Oil will soon embark on a nationwide campaign to create public awareness on the country’s acute shortage of corneas for transplant. Many Kenyans are reluctant to donate corneas and other body organs due to religious and cultural beliefs. 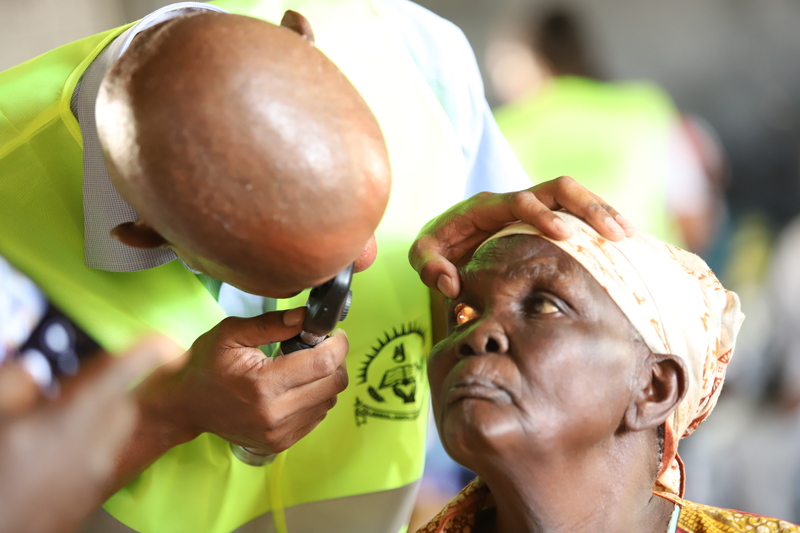 It is estimated that 250,000 people in Kenya are blind with another 750,000 suffering low vision, putting the prevalence of blindness in the country at 0.7%. Cataract is the leading cause of blindness accounting for 43% of the total cases. Trachoma is second accounting for 19% followed by glaucoma and childhood blindness accounting for 9% and 6% respectively. According to the National Strategic Plan for Eye Health and Blindness Prevention 2012-2018 prepared by the Ministry of Health, over 80% of the cases are due to curable and preventable causes. Lack of access to treatment means that many Kenyans continue to suffer in silence especially in the rural areas where health services are inadequate or inaccessible.